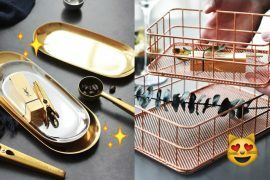 Are you looking for alternate ways to decorate your space (let’s be honest, we’ve had enough with the fairy lights)? Look no further than these best indoor plants for your home and office! These low maintenance plants are great for gardening beginners or those who don’t have time to care for delicate plants. 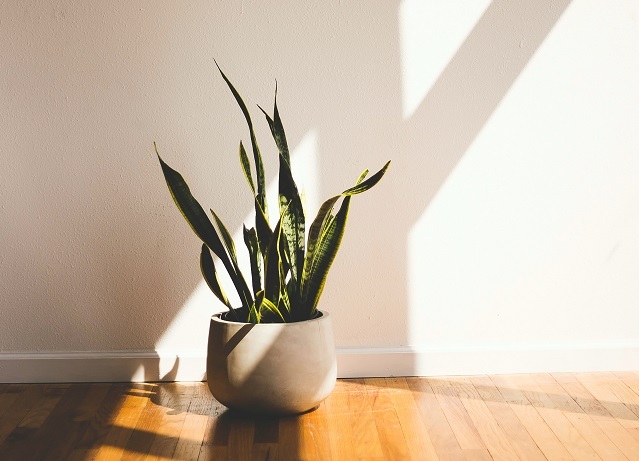 Indoor plants are beautiful and can instantly create a homely and inviting vibe to your space! 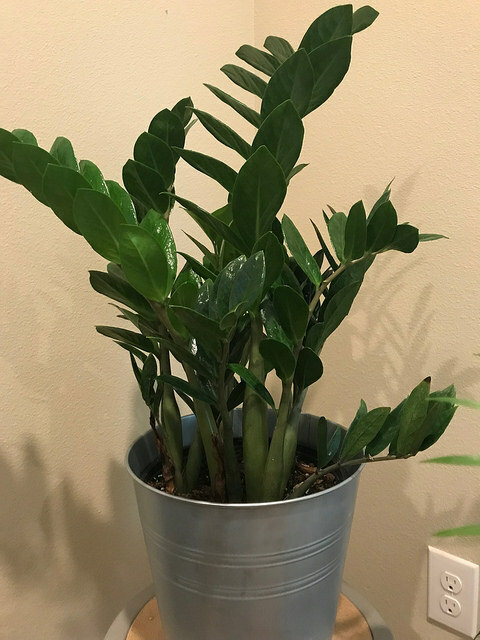 ZZ plant, also known as Zamioculcas zamifolia, is one of the best indoor plants for homes and offices. Its waxy leaves reflect light to produce a high shine effect, complimenting any room interior. Don’t have a green thumb? This is the perfect plant for you! The ZZ plant can grow to a relatively large size of about 120cm in height and width. This low-maintenance plant is one of the best indoor plants for homes and offices as it doesn’t require direct sunlight and is tolerant to dimly lit environments (although this will affect its growth rate). Ideally, it should be kept in a room with natural bright light. However, you can place it in an air-conditioned environment, provided it’s not in the direction of constant cold air. The ZZ plant should be watered thoroughly and allowed to dry out before the next watering session. This means that on average, you’ll probably only have to water the plant once every eight weeks! This elegant plant is one of the best indoor plants for homes and offices as it not only brightens up the space but also helps to purify the air by removing five dangerous airborne toxins — benzene, formaldehyde, trichloroethylene, xylene and ammonia. 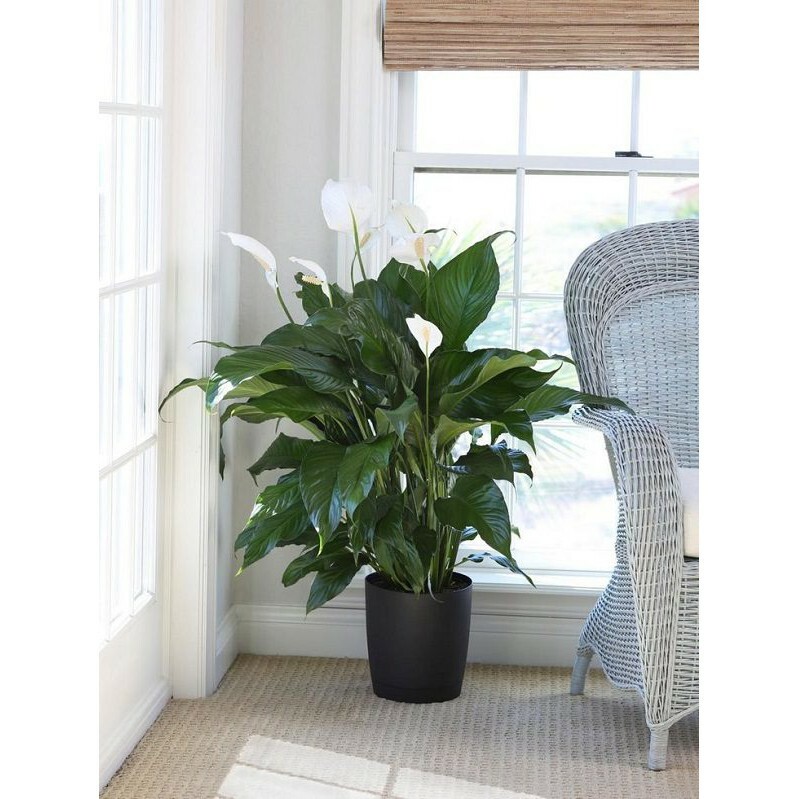 Peace Lilies, also known as Closet plants, are well-loved for their dark green leaves and white ‘flowers’. Enjoy Peace Lily’s long-lasting blooms and light fragrance in the comfort of your home or office! Peace Lilies can grow up to about 180cm in height and thrive in low-light areas. Avoid exposing them to direct sunlight as the leaves might turn yellow and wither. This plant is generally easy to maintain and does not require much water — rehydrate it just once a week. Think your space can do with a little more greenery? Get these Peace Lily seeds (available on Maiweilai) and plant them yourself! Tillandsias aka air plants are unique because they do not need to be rooted in soil. This allows for more versatility when you’re designing your space with these indoor greeneries. It is also considered to be one of the best indoor plants for homes and offices thanks to its low-maintenance nature. You can expect air plants to grow anywhere from 5 to 25cm tall and 12 to 25cm wide. Air plants grow best with indirect sunlight so display your Tillandsia a distance away from the window or in a room where fluorescent lights are on. Instead of the usual watering process, air plants require weekly soaking. Submerge your air plant in water for an hour and if you’re using tap water for the soaking process, it is important that you leave the water sitting in a bowl for a couple of hours for the chlorine to evaporate. After the soak, gently shake off excess water from your plant and allow it to air dry to prevent rotting. 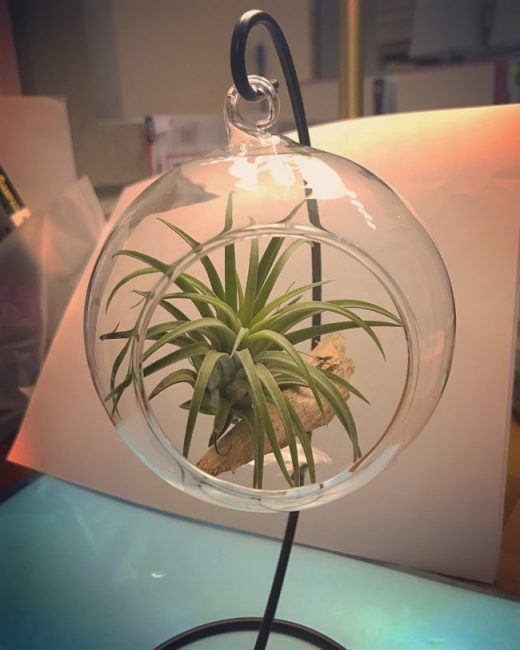 While Tillandsias may appear to require more care than the other plants, all the effort is worthwhile when you sit back to admire your beautiful air plants sitting in their terrarium glass globes. Grow your own Tillandsia with these Tillandsia seeds today! If you’re always on a time crunch and tend to neglect your plants (unintentionally, of course! ), the Snake plant is your best friend. One of the best indoor plants for homes and offices, the Snake plant is a tolerant plant that requires minimum care. They are great as house and office decor for those who are often away on work trips. Most importantly, they help purify the air in the room to improve air quality! Snake plants can grow anywhere from 30 to 240cm in height and 15 to 90cm in width. They survive well in low light conditions, perfect for those who don’t have a window in their office. The Snake plant requires minimal watering. A good soak every two to three weeks is more than enough for this plant to grow healthily! This plant is no stranger to those invested in feng shui. 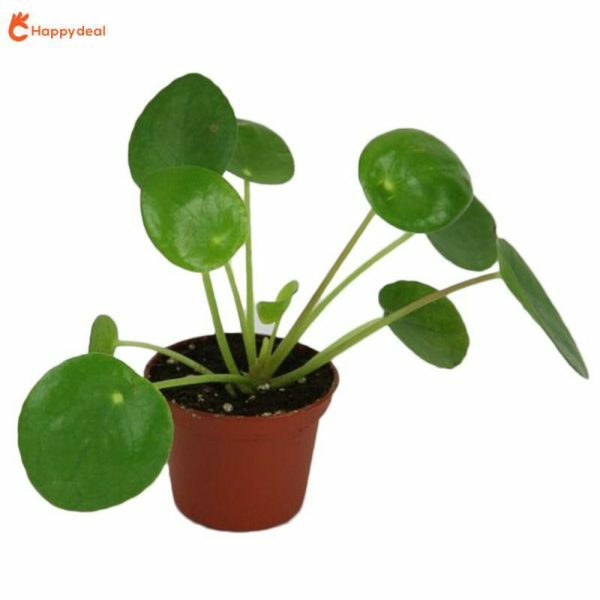 Not only is the Money plant one of the best indoor plants for homes and offices but it is also believed to bring wealth and luck to the entire family! Also known as Pilea peperomioides, the Money plant’s adorable round leaves make it an aesthetic piece to admire! Money plants are relatively small, so they are great indoor plants to have in HDB flats. Growing up to about 30cm tall and wide, the Chinese Money plant is a fast-growing plant that is very responsive to light. However, avoid placing it under direct sunlight to prevent leaf-scorching and rotate the plant at least twice a week to prevent slanted stems. While the Chinese Money plant only requires watering once a week, it is important to prevent the soil from completely drying out between sessions. This helps to ensure your Chinese Money plant is always kept in best conditions! Try growing your own ‘wealth’ with some Money plant seeds! The appearance of the Nerve plant or Fittonia argyroneura, either piques your interest or makes you feel itchy all over. The leaves of Nerve plants are usually white and green or pink and green. 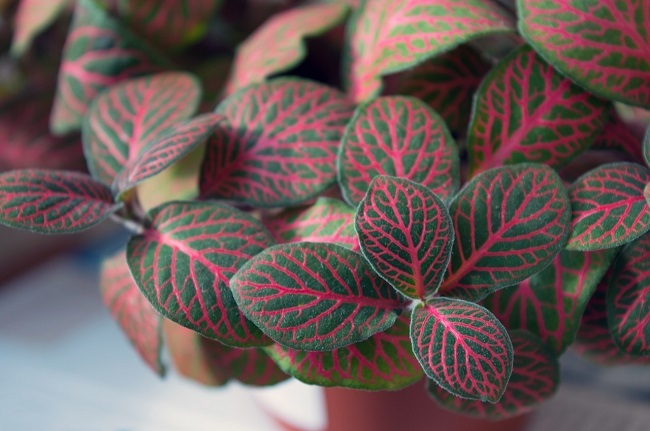 As its name suggests, the vein-like patterns on the leaves are very striking, making this an interesting indoor plant to have. The Nerve plant grows about 30 to 45cm tall. Similar to the other best indoor plants for homes and offices, the Nerve plant is easy to grow and care for! It thrives well in low to medium light and should not be exposed to direct sunlight. It can be a little tricky when it comes to maintaining the moisture level of your Nerve plant. Thanks to Singapore’s humid weather, caring for Nerve plants here is much easier! Pay attention to the soil’s condition and water whenever the top surface of the soil dries out. If your plant is dehydrated, you’ll observe droopy leaves which may wither if left unattended. You may also need to mist your Nerve plant regularly to keep it hydrated! This medicinal plant thrives in dry conditions and thus, is one of the best indoor plants for homes and offices! 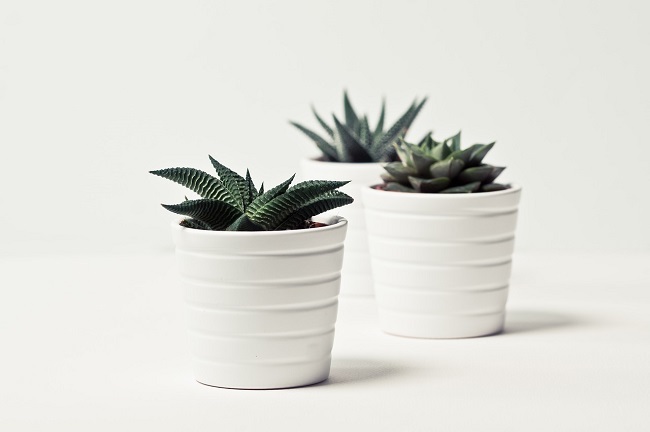 Similar to cacti and succulents, the Aloe plant cannot tolerate being submerged in water — this means you don’t have to worry about watering the plant regularly! This plant generally requires little care! The best part? 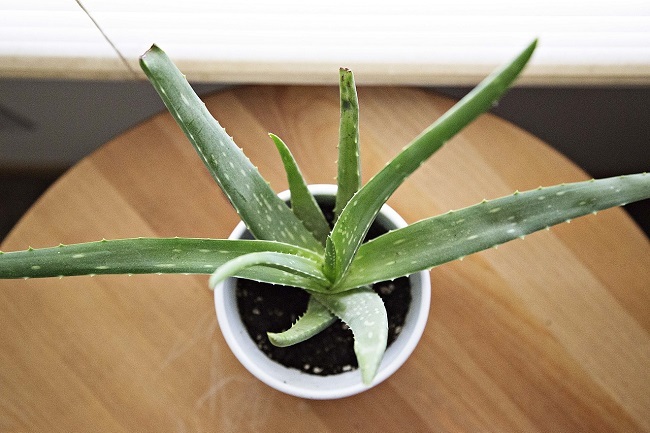 You can use its aloe for minor burns and rashes! The Aloe plant is a stemless plant that grows about 60 to 100cm tall. It requires bright light and does best on south or west-facing windows. When watering the Aloe plant, ensure that the pot has drainage holes to allow for water to be drained from the soil. Do not water too often, instead, allow the soil to dry out completely before the next watering session. Succulents’ cute appearances make them irresistible and fun to have in your room! 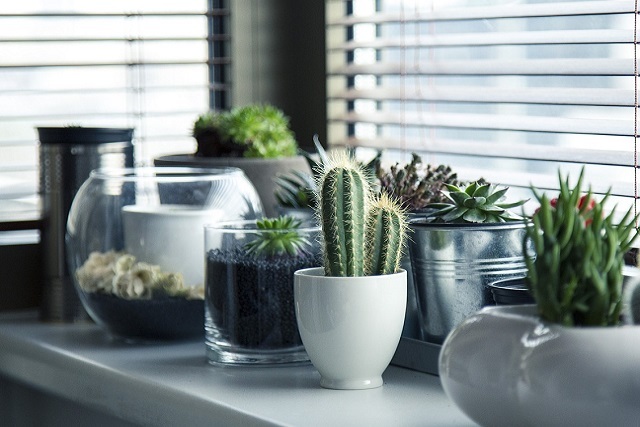 Even though succulents may not be the best indoor plants for homes and offices as many of them require lots of sunlight, choosing one that thrives in shade or low light can make all the difference. Haworthia is one succulent that grows best in shady areas! This small succulent plant should be placed by a window for just enough light exposure. If your succulents start to stretch and spread out, it’s a sign that they’re not getting sufficient light! To ensure your succulent is well hydrated, thoroughly drench the soil and allow it to dry out. Thereafter, water the plant about three days later before repeating this entire process. This popular houseplant is hardy and slow-growing, allowing it to be passed down from generation to generation. Despite its small size, the arched and slender leaves of a Parlour Palm give off a fun, summery vibe, transforming your home into the likes of a resort! Don’t fret too much over the care of a Parlour Palm. This plant is one of the best indoor plants for homes and offices because it thrives in low light and shady areas. 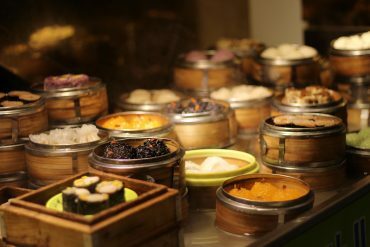 It is also the perfect addition in Singapore homes as it grows better in high humidity. Keep the soil moist but well-drained. These nine low-maintenance indoor plants can help to spice up your home or office space and alleviate your mood! Gardening can be a great hobby to cultivate within the family too! 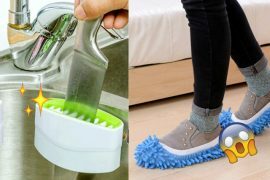 Grab your gardening tools and start beautifying your homes and offices now! 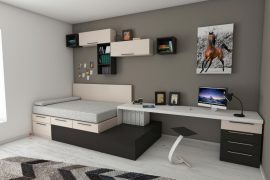 Alternatively, you can decorate your space using Lego bricks or transform your house with these smart home gadgets! *TNC Applies. Valid for new users from 11 to 20 Jan only.